With summer fast approaching and many people heading to the beach, we thought it would be a good time to revisit some recent shark discoveries. This post was originally published on February 9, 2017. In the past few months, scientists have made some amazing discoveries about sharks. Let’s dive into the new research and what it means for sharks and scientists. In August 2016, a group of Danish scientists published a report in Science that radiocarbon dating had allowed them to investigate the lifespan of the Greenland shark. Radiocarbon dating is technique that uses the decay of naturally-occurring carbon-14 molecules to estimate age. The results were shocking: they found that the Greenland shark does not reproduce until it is 150 years old. Additionally, they are the longest-lived vertebrate on the planet, with one specimen dated as at least 272 years old! The researchers estimate that the species may be able to live up to 500 years old. Scientists had to get really creative to get this data! Lifespans can easily be estimated using radiocarbon dating on bones, but sharks, which have skeletons made exclusively of cartilage and no bones, must be measured in a slightly different way. Instead, researchers had to use radiocarbon dating on the interior part of the shark’s eye. The center of the eye lens was formed when the shark was born and the lens surrounding it is added slowly throughout the shark’s life. Radiocarbon dating of the interior part together with the lens gives scientists an accurate estimate of the shark’s age. 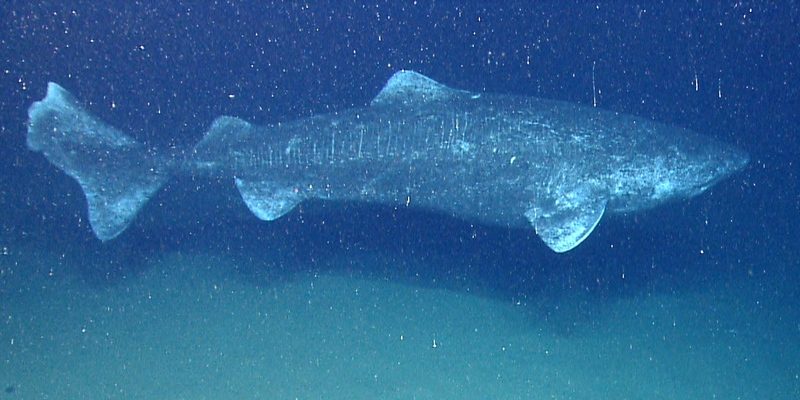 The researchers tested several Greenland sharks of varying sizes and ages that had been collected through the Greenland Institute for Natural Resources’ fish monitoring program. They also discovered that the sharks, which can grow to 20 feet long, only grow by ½ inch per year. Since these sharks cannot reproduce until they are 150 years old, even the death of one shark would have a large impact on the population of this endangered species. 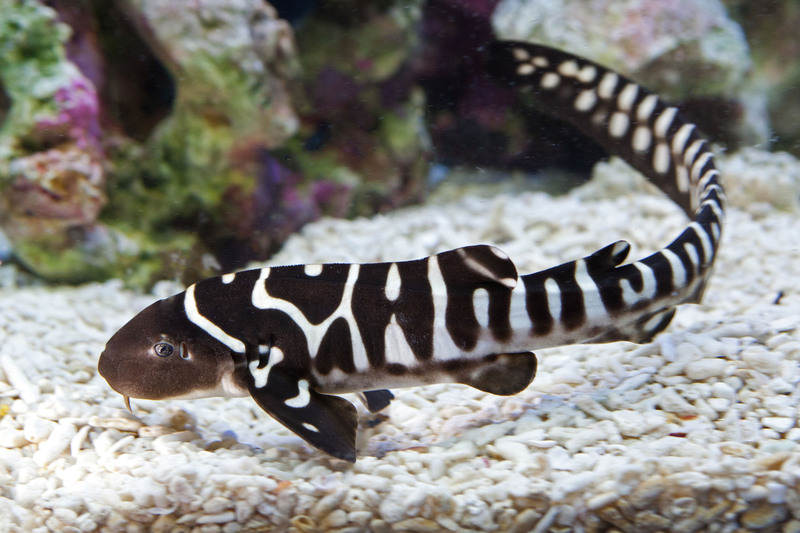 Another astounding discovery came when Leonie, a leopard shark at the Reef HQ Great Barrier Reef Aquarium in Townsville, Australia, gave birth to three pups. Under normal circumstances, this birth would have been unextraordinary, but Leonie had been separated from her male partner for three years when she gave birth asexually to Cleo, CC, and Gemini. Asexual reproduction means that only one parent’s DNA was passed down to the offspring, and they are almost genetically identical. 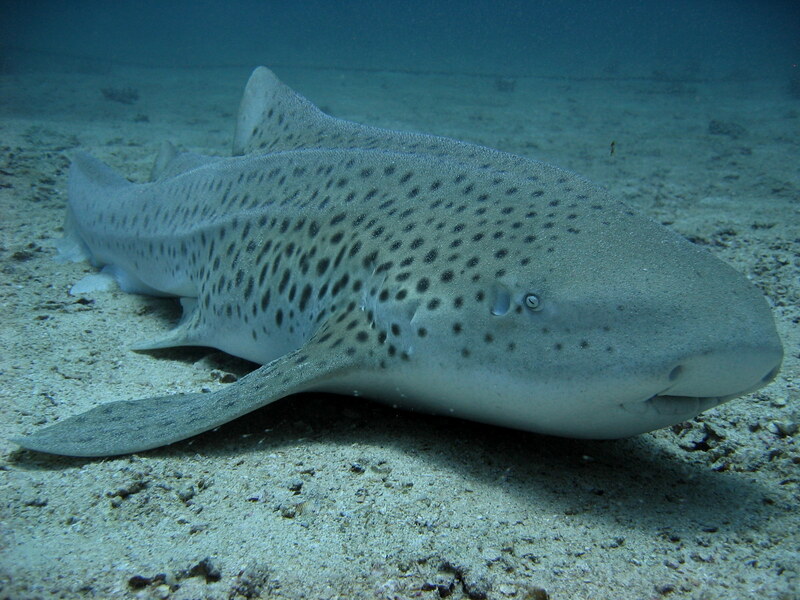 It has been recorded that Zebra sharks, and many other species of sharks and rays, are able to have these “virgin births” through the asexual reproductive process called “parthogenesis”. However, Leonie had previously given birth to several pups with her male partner while they were housed together at the aquarium. The three new pups made Leonie the first recorded instance of a shark switching from sexual to asexual reproduction. 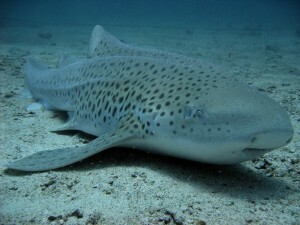 An adult shark of the species, Stegostoma fasciatum, known commonly as the Leopard or Zebra shark. The ability to switch from sexual to asexual reproduction, which has never before been documented in sharks, has some important implications for their evolution as a species. This means that sharks entering new habitats, who become isolated from other sharks of their own species, would be able to colonize the new habitat with their offspring even without a mating partner. Unfortunately, offspring produced by parthogenesis have less genetic diversity than offspring with two parents, which makes them less able to fight off new infections or adapt to changes in the environment. On the other hand, this exciting discovery could potentially be used to help endangered shark species recover from overfishing.